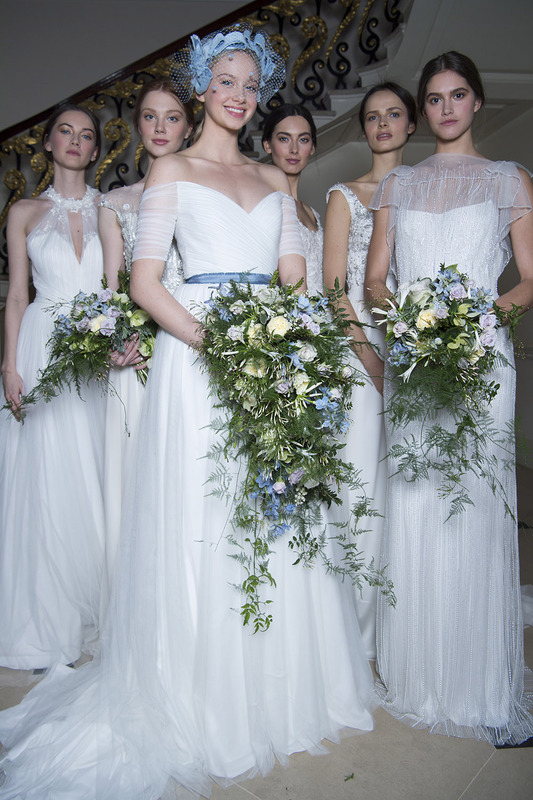 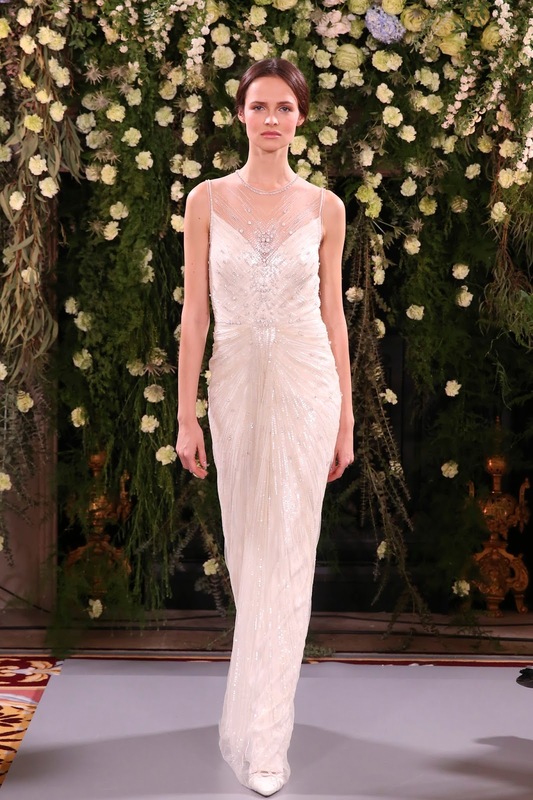 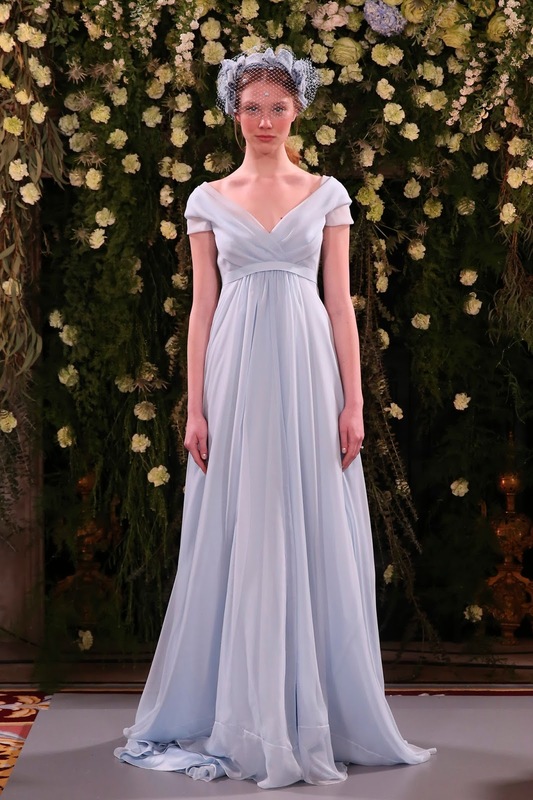 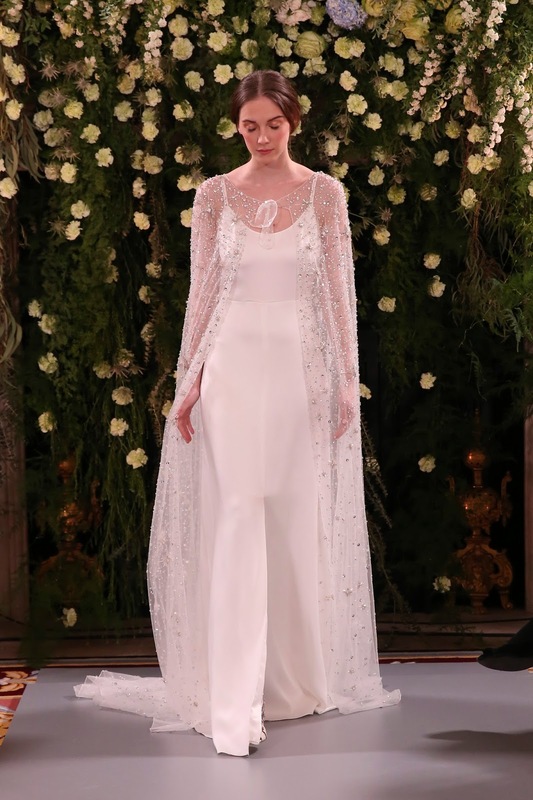 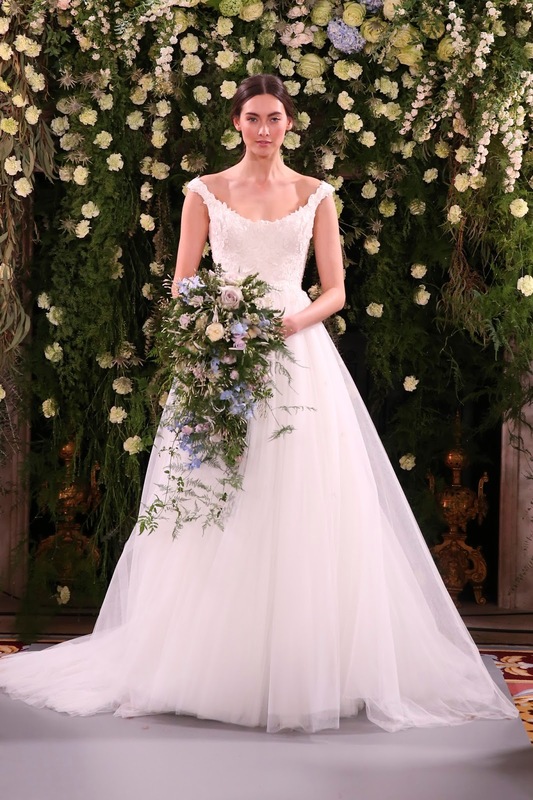 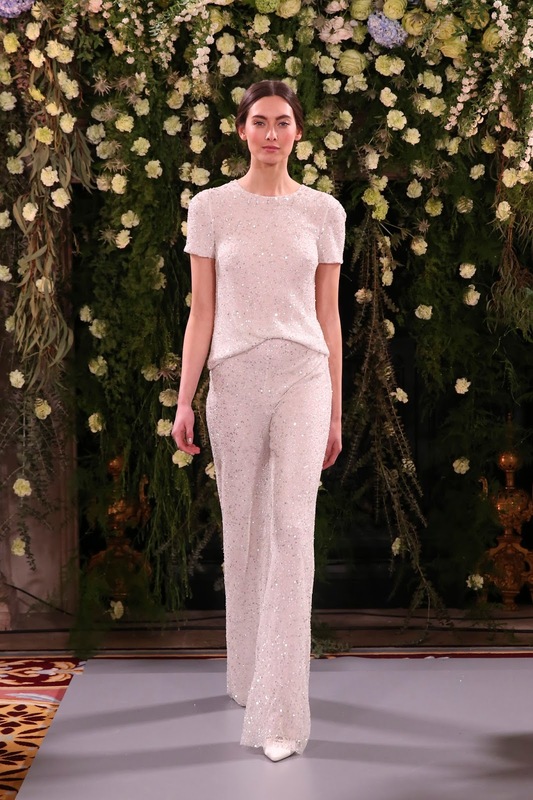 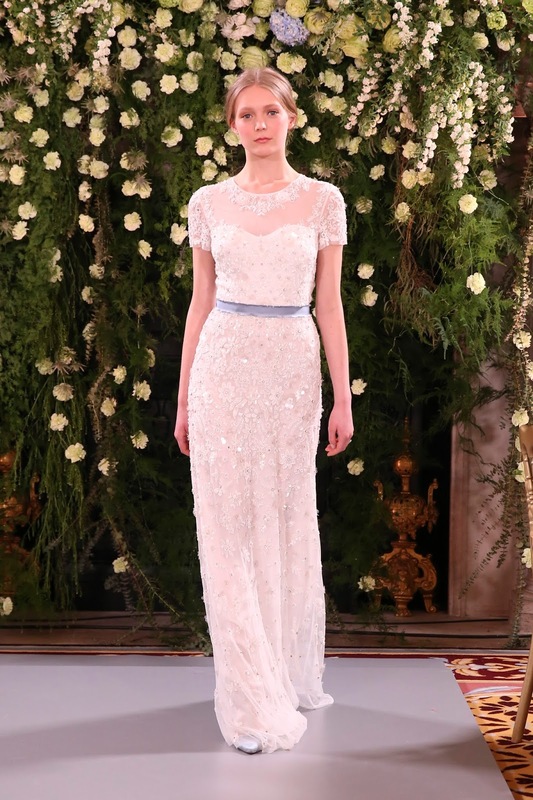 Set against the exquisite decor of The Ritz’s Music Room, as well as a show-stopping floral display by Paul Thomas Flowers, the new collection brought everything from aisle-worthy glamour to enchanting elegance to the floor, all with the added flash of Jenny Packham’s signature touch of embellishment. 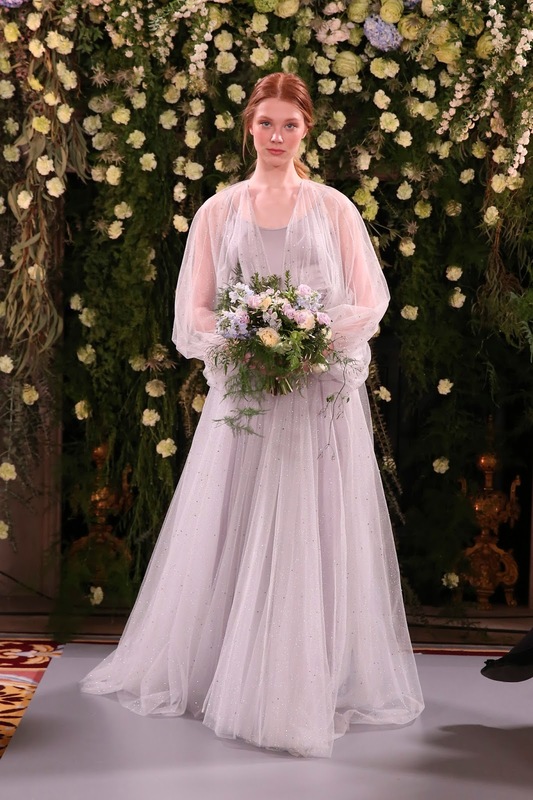 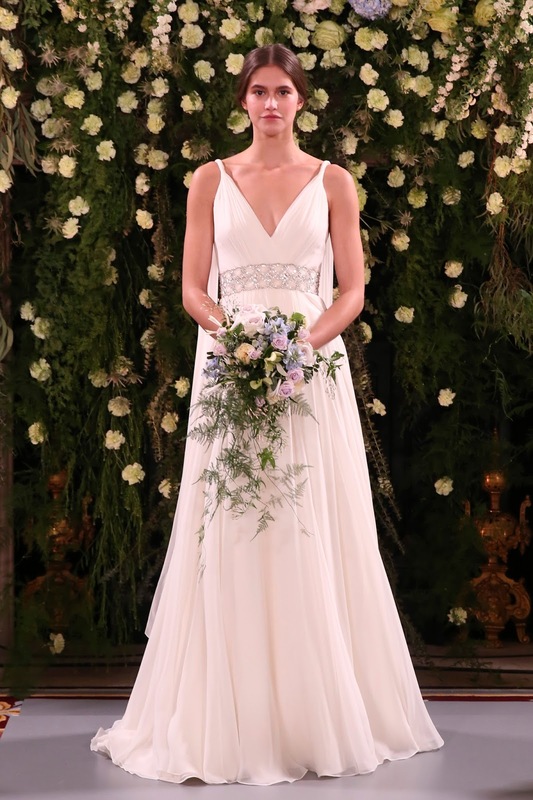 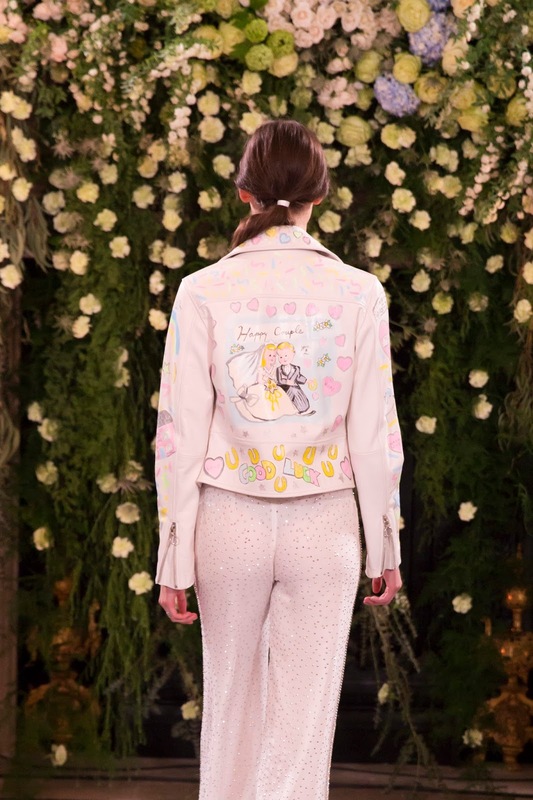 Inspired by ‘a glamorous, twilight society, their heady abandon and insouciant elegance fuelled by the hazy romance of a balmy summer’s evening’, the new line from the designer is just everything a bride could want to take to the aisle in on her big day. 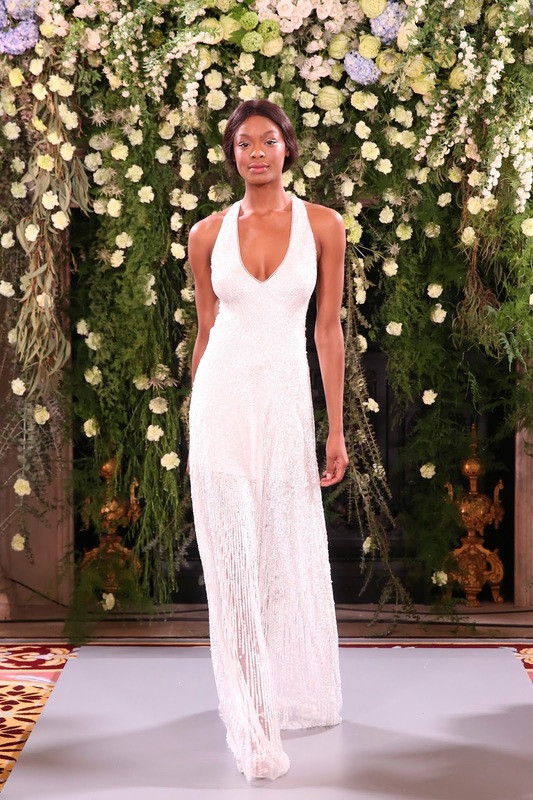 L.K.Bennett also launched some new additions on the evening for the L.K.Bennett x Jenny Packham Bridal footwear collection (click here if you haven’t discovered this yet!). 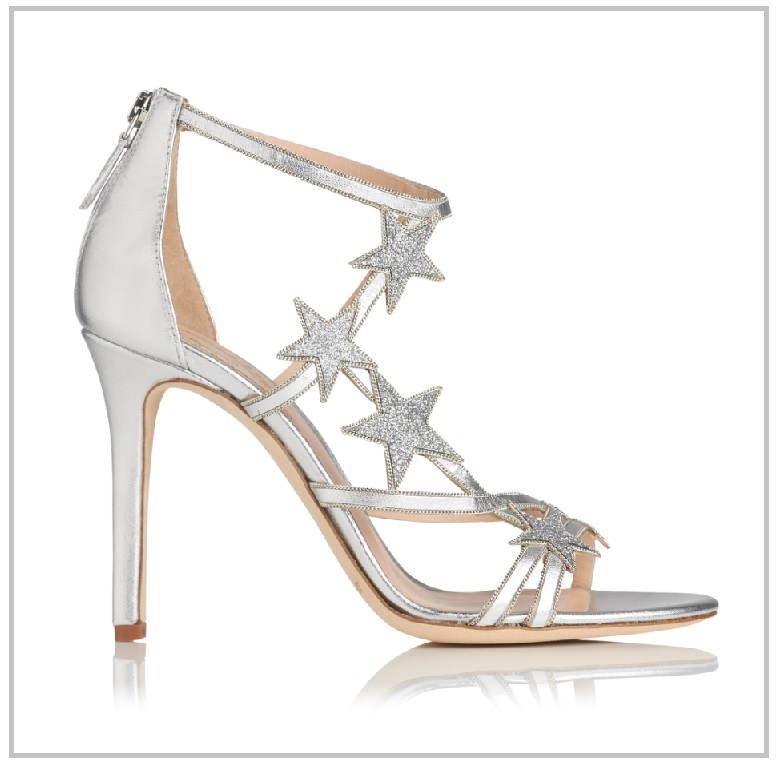 Prepare to delight in the collaborations latest offering in which four of their footwear styles have been updated with two new colour-ways: a sophisticated metallic silver and sumptuous dusty blue! 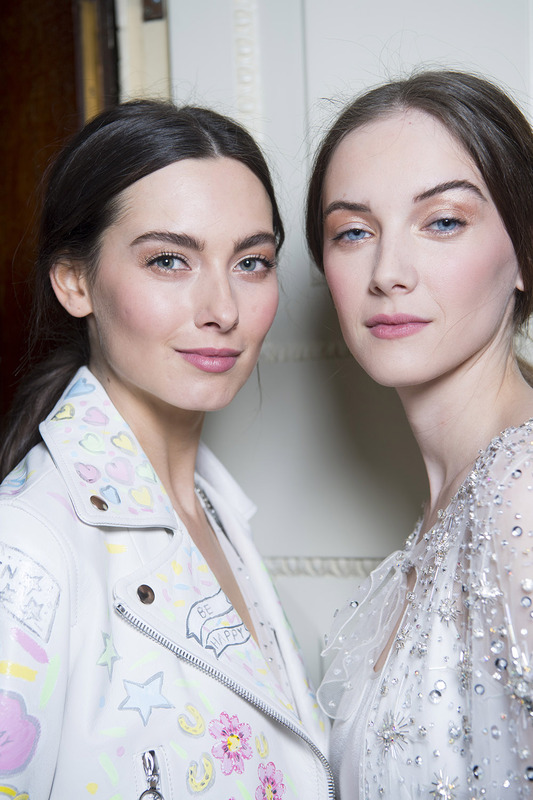 See the new styles below and prepare to fawn over them immediately. 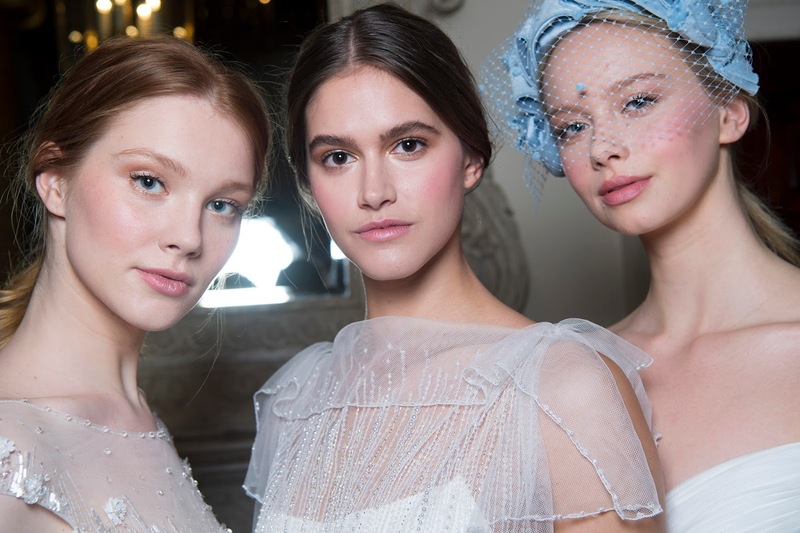 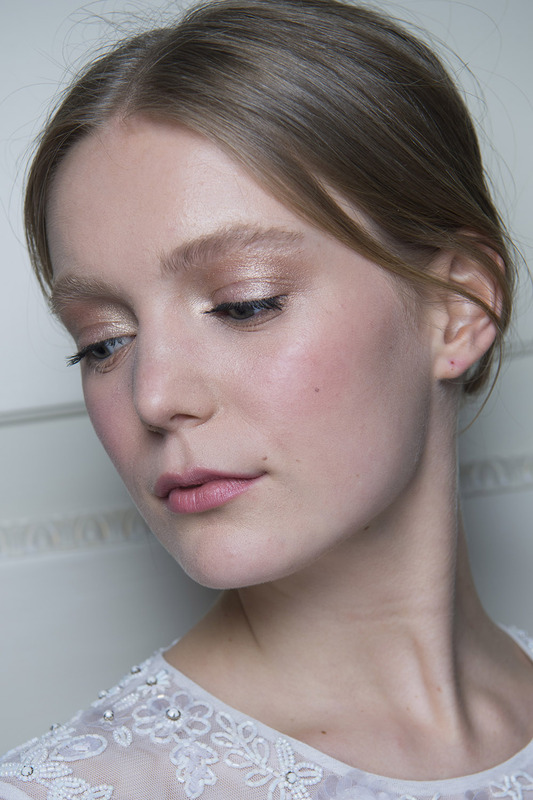 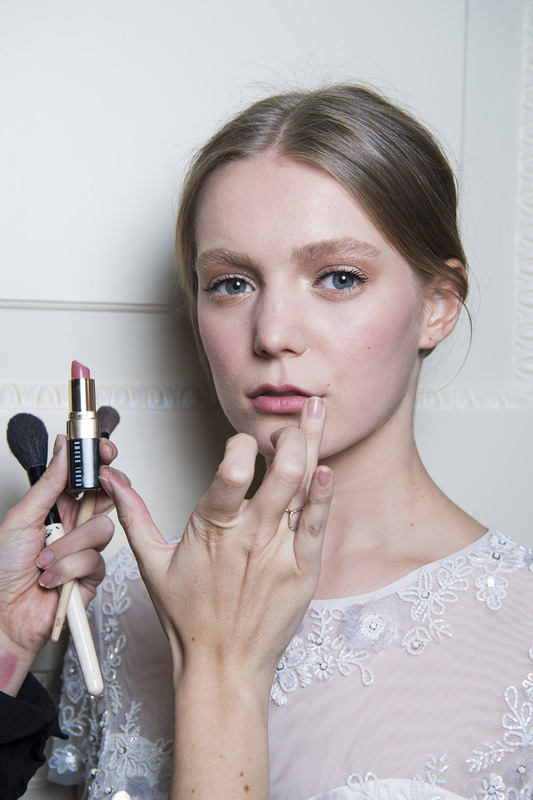 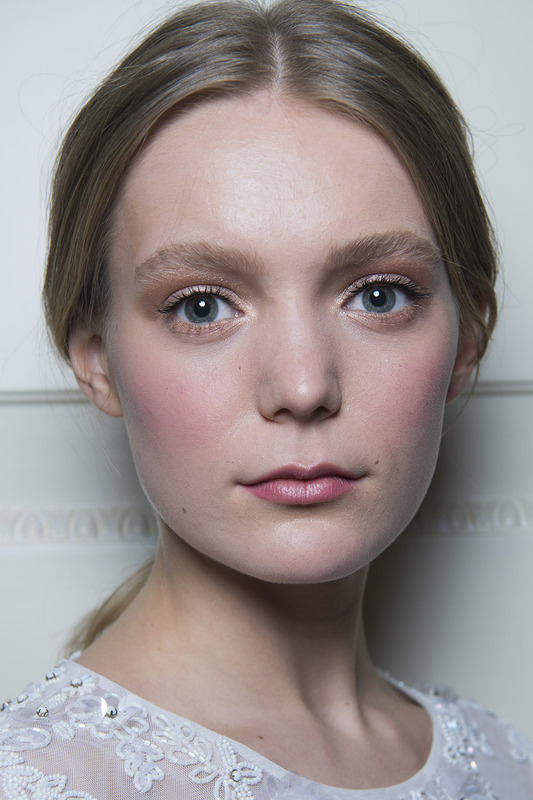 Bobbi Brown Cosmetics, led by PRO & Artistry Manager, Hannah Martin, created the super-pretty beauty look for the runway collection, and effortlessly complimented the new line by sending the models out with fresh, inspiring complexions and soft pink lips. 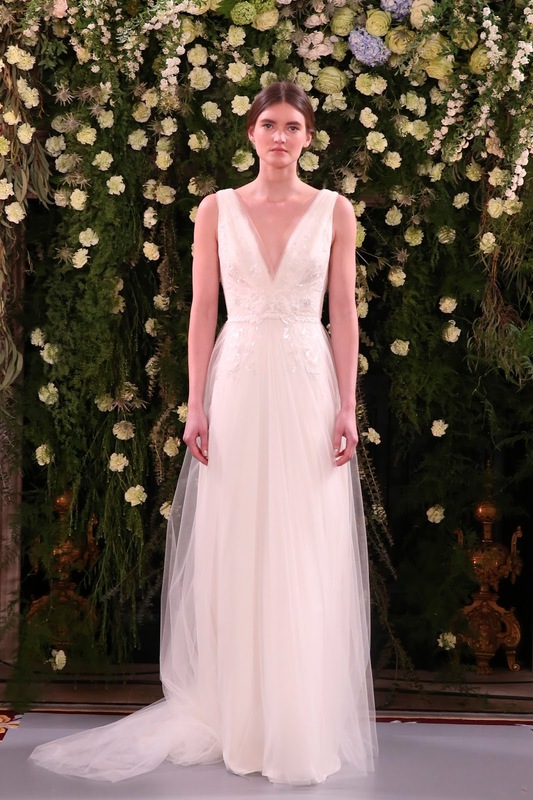 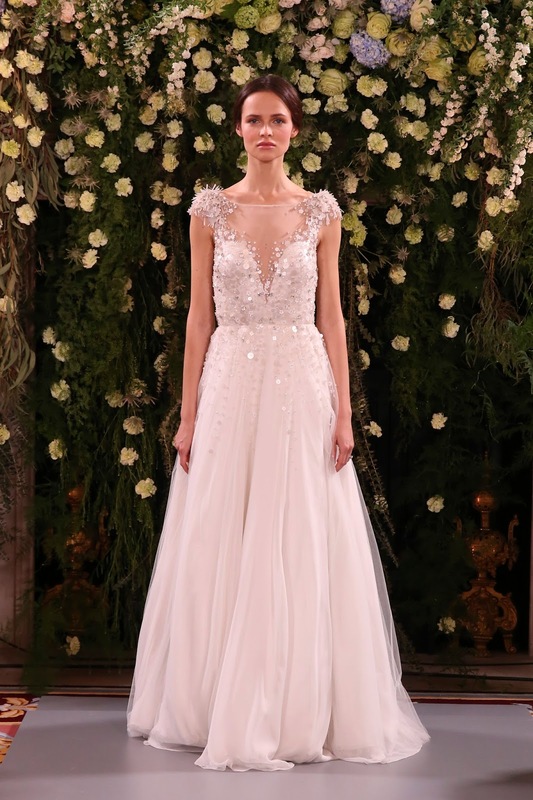 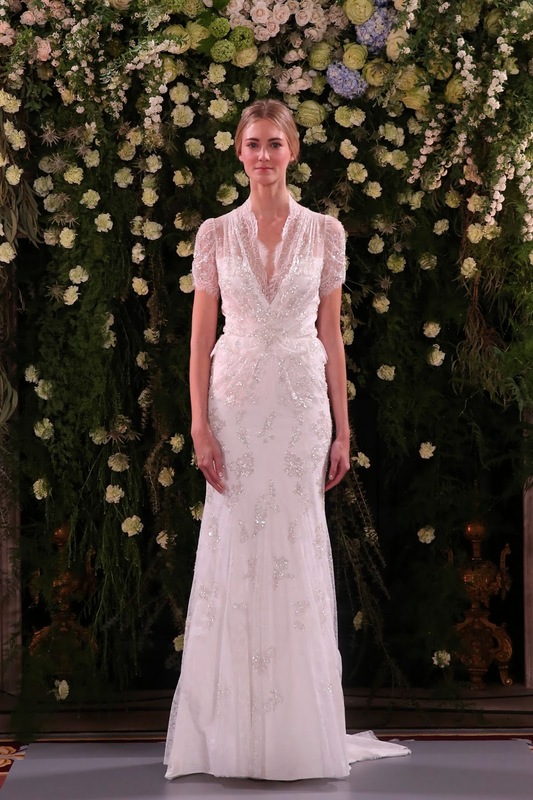 The new collection from Jenny Packham will be available internationally from late Summer 2018, so keep those eyes peeled! 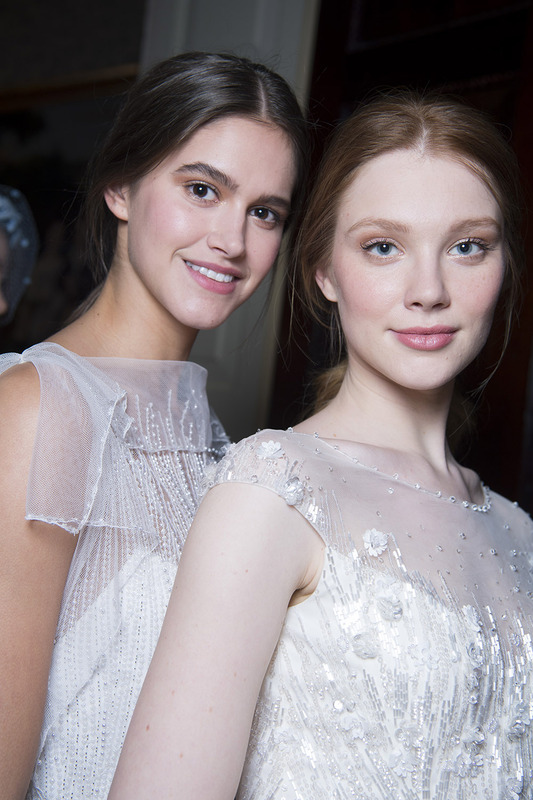 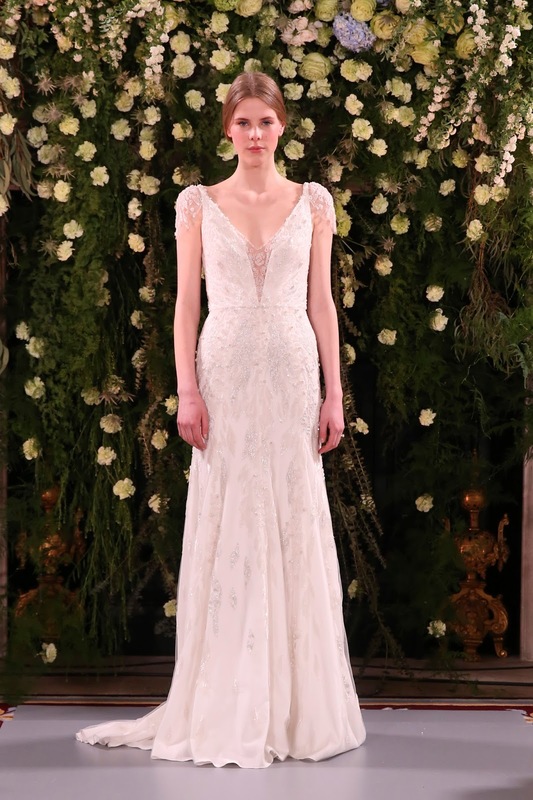 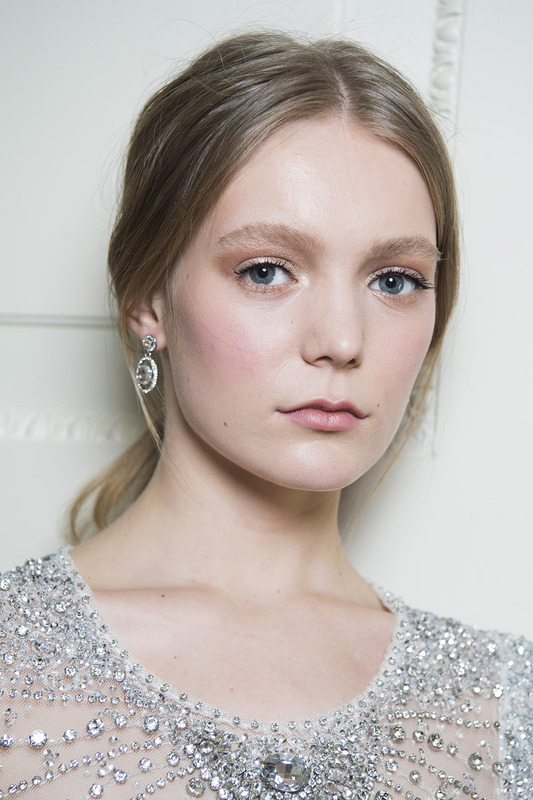 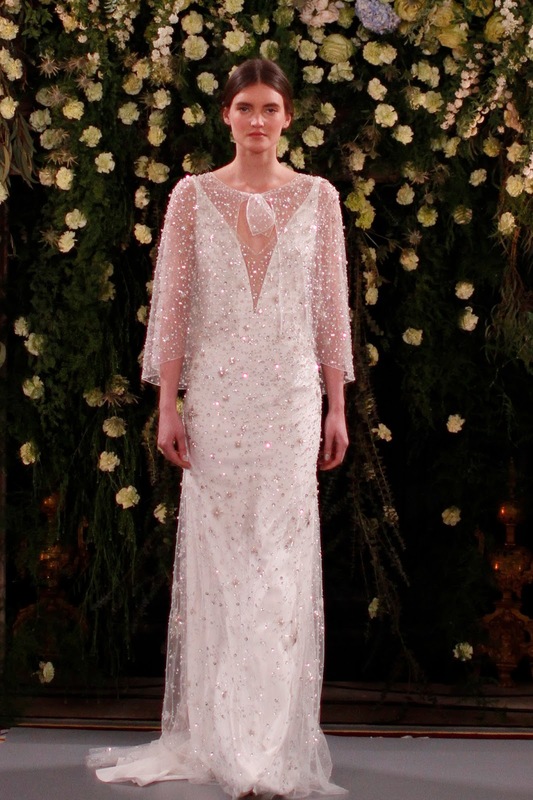 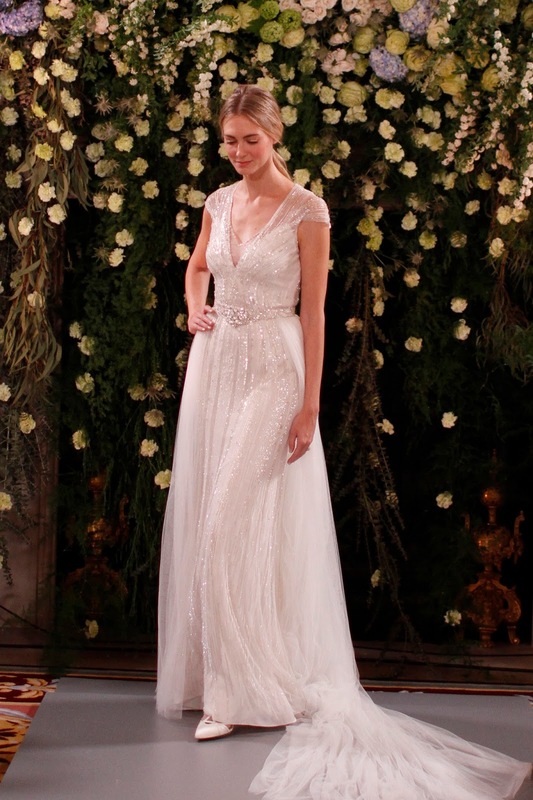 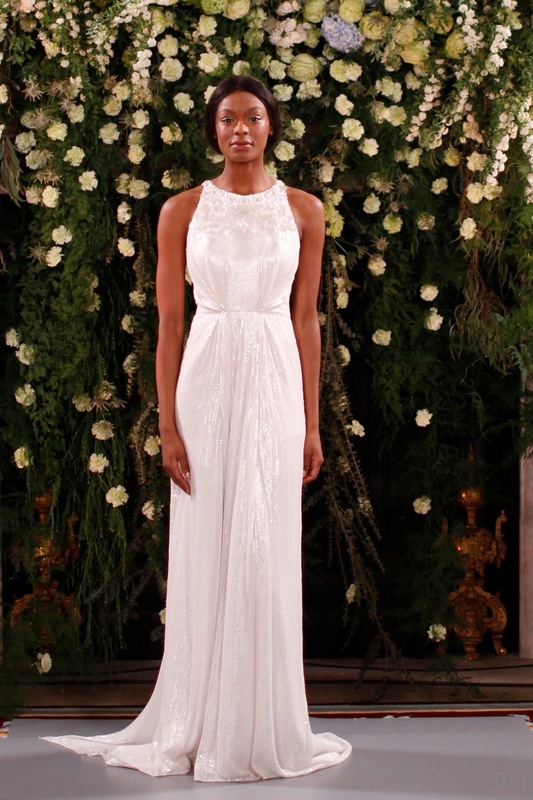 Click here to discover more from Jenny Packham.